Today was Day #2 of Chocolate and Africa Theme Week. 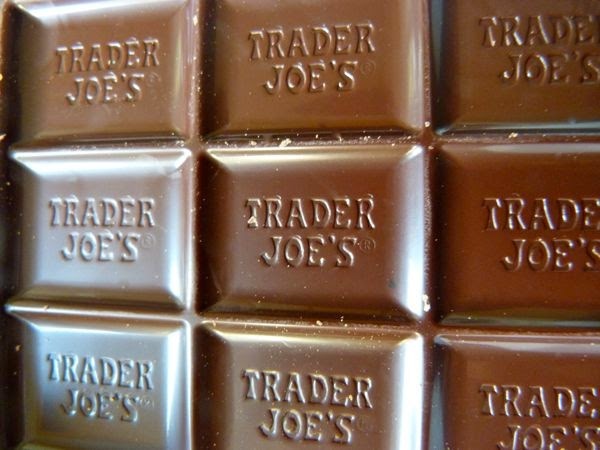 Trader Joe's (Monrovia) offers a tasting pack of single origin chocolate bars once a year. These packs sell out quickly and they're usually gone until next year. So, when I saw this year's Chocolate Passport package of 8 different bars, I grabbed one. In this year's pack, there were three bars from Africa, including today's Tanzania 73% bar. Many years ago, cacao seeds/trees were exported from Central and South America to Africa, where they became a successful cash crop. Now two countries in West Africa (Cote d'Ivoire and Ghana) account for more than half of the world's cacao. According to one source, Tanzania (located in East Africa) exported 6,500 metric tonnes of cocoa a year (2009 data). 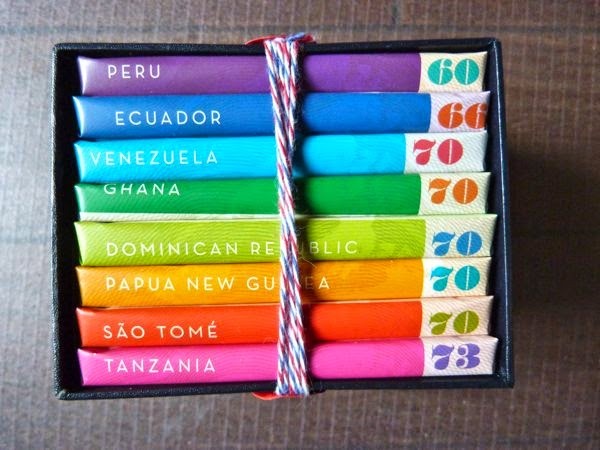 While not in the top 10 exporting countries, this amount is still plenty for many good single origin bars. 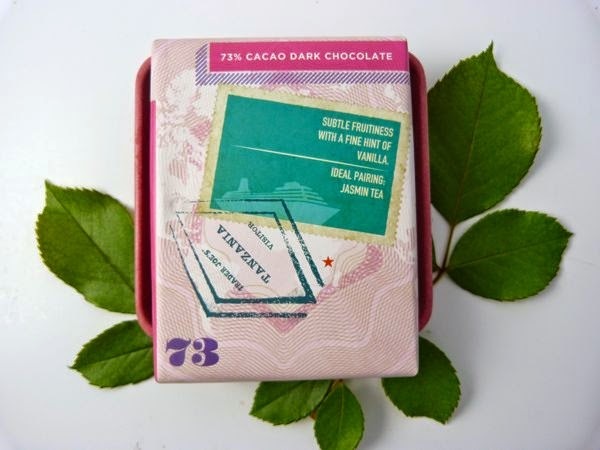 Today's 73% Cacao Dark Chocolate bar was made with cacao from a single region, possibly a single plantation, in Tanzania. The well-balanced bar had a slight roasted, smoky/earthly taste and a relatively smooth melt, with enough subtle but uniform fruit/acid flavor to feel balanced; and it had a slight sweet, marshmallow finish.